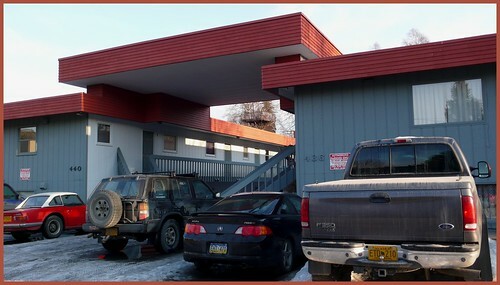 Courtyard apartment building in Fairview. 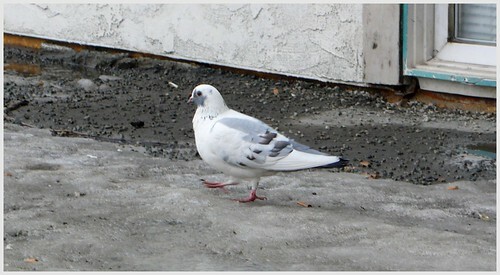 Every time I visit my son’s apartment, this white pigeon is there at the stairs. Update 4-20-09: Dropped by briefly to see Mason and thought, strange! — the white pigeon isn’t here. But then when I was riding away on my bike I saw it sitting in somebody’s flower bed across the street. Ha! No way would I be seen on something like that. Especially, riding down the road with no helmet and flip flops. 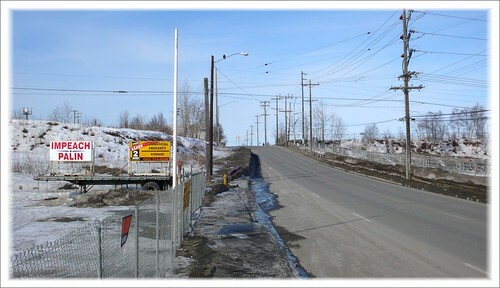 Sign of the times, Anchorage. 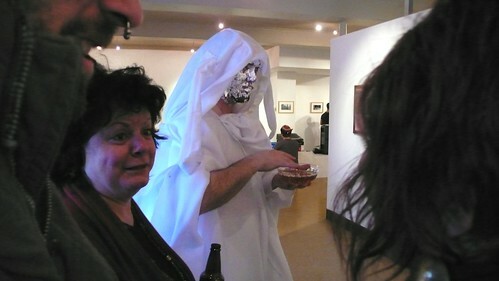 Performance art, MTS Gallery, First Friday. 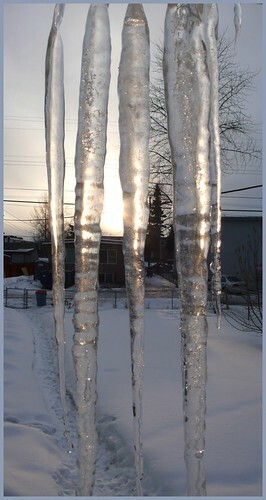 Icicles, and my back yard with two feet of snow still! Arrgh!! !